It’s no secret to readers of this blog that Dianne Hales is my favorite author on all things Italian, and these two books are at the top of my BookLove list. And I’m not alone — Mona Lisa: A Life Discovered, has recently been named one of Amazon’s “Best Books of the Year” in Arts & Photography! Auguri Diana ~ Congratulations, Dianne! If you have anyone on your holiday list this year who loves Italy, history, art, or Italian, these books make a perfect gift. I first encountered Dianne Hales at an open-air book market in the Piazza della Repubblica in Florence, in the summer of 2010. Well, she wasn’t actually there, but her book, La Bella Lingua, was. 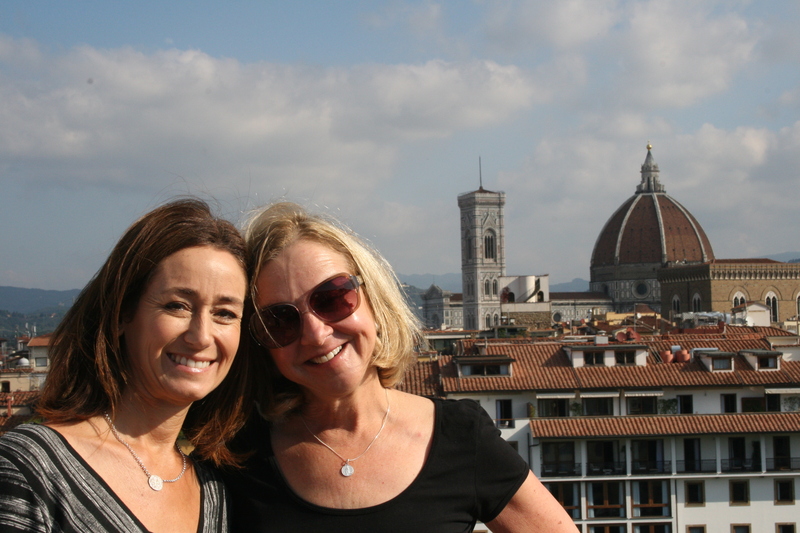 (Although, in an unexpected lining up of the stars, I really DID meet Dianne in Florence in October, and walked in Mona Lisa’s footsteps with her — a highlight of my year!) Even though I was scouting for books in Italian to bring home with me, I bought La Bella Lingua. I couldn’t resist the subtitle: “My love affair with Italian, the world’s most enchanting language”. At the time, I was just beginning my Italian language learning journey, and, giddy with being in Italy full of Italian-speaking Italians, I also had the sensation of falling in love. I went straight “home” that night, and in the comfort of a little Tuscan villa which was mine for the next few days, began La Bella Lingua. I LOVED LBL immediately, and quickly became a fan of Dianne’s. I anxiously awaited the release of her next book, which arrived on my doorstep this August. “Florence’s most famous daughter is virtually invisible in her hometown. No plaques commemorate where she lived; no monuments or streets bear her name. Yet a genius immortalized her. A French king paid a fortune for her. An emperor coveted her. Hers was the city that thrills us still, home to larger-than-legend figures such as Leonardo, Michelangelo, and Machiavelli. But all that remains of Lisa is her smile.” Dianne remedies that. Mona Lisa is a treasure of a book, which reads like historical fiction but uses fact to take us through the life of Lisa Gherardini del Giocondo, the woman believed to be the model behind the world’s most famous painting. Through her painstaking research and seamless writing, Dianne takes us through a magic portal and plants readers into Florence in the 1400s, allowing us to see life from Gherardini’s eyes, a woman born of nobility and married to a successful Florentine silk merchant. I came to understand Mona Lisa as not just the woman behind the most famous smile in the world, but as a wife and a mother — una donna vera, a real woman — to use Dianne’s term. I especially loved the chapters which shared detailed insight into 15th century life. Daughter of the Renaissance painted a clear picture of what a little girl may have experienced in Renaissance times. In The Merchant’s Wife chapter, readers peer into the life of a Renaissance wife, particularly one of a higher station such as Mona Lisa’s. Women who, as teenagers, often married older men and were thrust into a new role and a new family while really still children themselves. Being a wife and a mother myself, these chapters were particularly touching. I also treasured the fun historical tidbits sprinkled throughout the book. I hadn’t realized that Leonardo da Vinci was considered both handsome and charming — touching personal details about one of the most influential figures of the Renaissance. “Even before the Florentines sensed the immensity of his genius, the boy from Vinci dazzled everyone he met with his remarkable good looks.” Or that he worked his entire life to learn Latin, and “even as Leonardo neared age forty, he was still working at conjugations, copying ‘amo, amas, amat‘ as diligently as a schoolboy’ in his libriccino,the little notebook he was never without.” This personally gives the language learner in me tremendous inspiration! Mona Lisa: A Life Discovered is without a doubt my favorite book of the year. It has many layers and provides incredible insight into the artists, events and influential families which shaped the Renaissance. I devoured this book in three days and truly savored every single page. Dianne’s book has been extremely well received since its release in August. Click here and here to read reviews from The Washington Post and BookPage. For BookLove in English and Italian, here’s a great podcast from Melissa’s Studentessa Matta blog. Or grab a caffe` and enjoy this excerpt of Mona Lisa. I have read this book three times and with each read, I find new little bits of wisdom, wistfulness or hilarity. I think of it as the bible for people like me who have been bitten by the “I love learning Italian” bug. It’s also a fantastic read for anyone who has a soft spot in their heart for Italy. 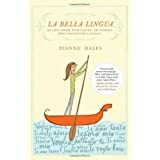 Because learning Italian holds a particular significance to me, discovering La Bella Lingua, rich with Italian words and phrases, cultural tidbits and historical insights, along with Dianne’s own details about her language journey, was like finding a treasure chest. La Bella Lingua is part memoir, part Italian Culture and History 101. It’s the perfect encapsulation of all things Italian, from Dante to opera, Italian films and food. 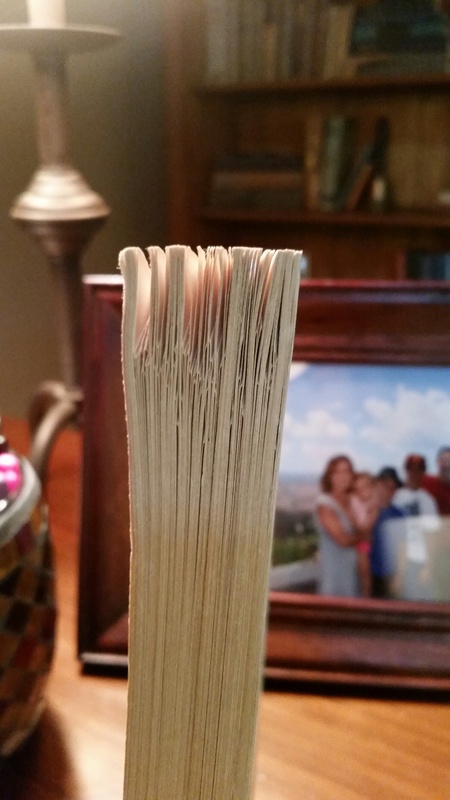 Honestly, it would be difficult for me to pick my favorite parts of this book (see photo of my dog-eared copy). Top contenders are the chapters: My Italian Brain and How it Grew; confessions of an Innamorata (both of which are Dianne’s personal experiences in her language learning journey); The Baking of a Masterpiece (detailing some of the nuts and bolts of how the Italian language came to be); Mother Tongue (“No other tongue expresses human feelings and emotions more powerfully…I wholeheartedly agree that Italian is indeed the language of humanity — and therefore everyone’s mother tongue”). Of course, there’s something for everyone in the chapter Irreverent Italian — no explanation needed. After reading LBL, you will know Italians and their storied culture and history as if they were a dear friend. That is the gift of LBL. And you may even have some new Italian phrases under your belt! I hope you enjoy these selections as much as I have, and I wish you Buona Lettera ~ Happy Reading, and Buone Feste ~ Happy Holidays! Dianne Hales is a prize-winning journalist and author. The president of Italy awarded her a knighthood in recognition of bestseller La Bella Lingua. Keep up with Dianne at her award-winning blog, Becoming Italian Word by Word. 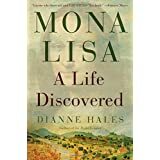 Tags: booklove, Books, Dianne Hales, history, Italy, La Bella Lingua, Mona Lisa, Mona Lisa: A Life Discovered, Renaissance. Bookmark the permalink. Previous post ← Gratitudes, November.